Size: approx. 15 mm. Photo: 08/22/14, 11 pm. 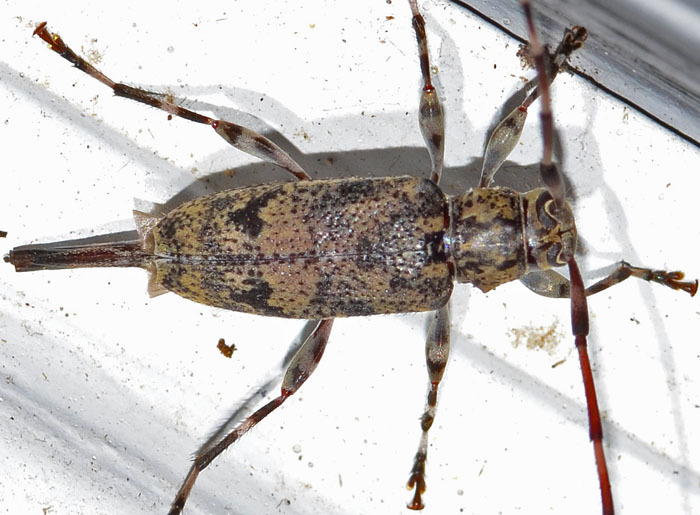 This flat-faced longhorn, Graphisurus fasciatus, prefers hardwood trees and pines. It is wide-spread throughout the eastern half of the country. The genus has three species in the US with G. fasciatus being the most frequent one in Florida and Georgia.